Let’s face it: the idea of beating the house is most of the fun in gambling, and there is no better way to beat than the house then by cheating it outright. Scamming the system is the biggest gamble that someone can take, but it holds the biggest payout. There have been the many gamblers who dared and failed; there have been the few pioneers who have succeeded. The best online slots cheats available today have been developed by players well-versed in the tradition of outsmarting the house. History has shown that where there is a will, there is usually someone who has figured out a way. Is it Possible to Cheat at Online Slot Machines? Hell Yes! Take Tommy Glenn Carmichael, for example, who championed the use of the “monkey’s paw” in the 1970s, a device now famous in gambling circles due to its effectiveness against old fashioned, “mechanical” slot machines. The Monkey’s Paw is a hook-like arm made of thin wire that was used to hold the coin release door open. The result of this manoeuvre: more cash than would normally be paid out for a normal win would come flying through extra space enabled by the Monkey’s Paw. When the industry evolved to more sophisticated machines, Tommy evolved the complexity of his methods. He would go on to pioneer another method of cheating that worked against the light sensors that these new electronic slot machines were using. This time he created a small device—a camera battery and a mini-light bulb—that he would shine into a specific area on the machine. The light was so bright that the internal sensor would be blinded, causing the machine not to realize it was paying out the coins that it was. Tommy Glenn is an example of a master inventor who conspired alone and with an elite group of thieves to steal millions of dollars from a casino. If you are looking for the type of a competitive edge that allowed Carmichael to amass a small fortune, then you are in luck. Our best online slots cheats may not net you millions of dollars, but they will allow you to have some fun and possibly win a bit more than you might have otherwise. If you are playing slots today, you are primarily limited to either of two options: online slot machines, or electronic slot machines in a casino. The latter is played in-person, whereas the former is played on a PC (or mobile), but fundamentally both of these ways of gaming are enabled by a computer of some sort. Instead of the physics of moving mechanisms determining randomness, the odds for electronic slots are calculated using electronic algorithms, and they are much harder to fool than their historical predecessors. Nowadays, if you want to cheat at playing slots, chances are you won’t find a method that is going to work across the board like Tommy Glenn was able to in the early, “Wild West” days of the technology online slots. That is to say, the best online slot machine cheats involve the realization that there is no (longer) any one way in which to cheat, but rather the aim is to formulate individualized methods for each game and its algorithms. One of the best online slots cheats these days should seem familiar enough: practice. It may seem like a copout answer, but nothing beats the tried-and-true truth that if you want to get better at anything in life, you have to put in a bit of work. There is no magic tool (outside of either knowing how to program, or a programmer within the slot machine industry) that you can craft up in your garage that is going to work on the machines of today. 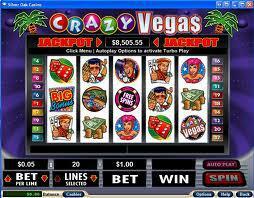 Cheating at playing slots is more a matter of sussing out the intricacies and subtleties of each particular game. Your best tool—by far—for playing slot online is to hone your skills playing slots for free. If you spend enough time playing any particular slot machine, you will pick up on those barely-perceptible variations in the code. The little things that seem to repeat. Remember, there is circularity in the programming of randomness. There will always be a predictable element. The more time you spend becoming familiar with the machine you are playing, the more you get to know that predictable element. This is one of the primary ways to cheat playing online slots. Once you have mastered your approach and can consistently win free credits, take your knowledge and try your hand with a real money deposit. If you play online slots for any period of time you will notice some sort of pattern(s) like that described above. Maybe you will often get into the bonus stage after a deposit, or maybe a particular payout tends to hit back-to-back? There are many different things to take notice of, and in doing so you can begin to map out the mechanics for the machine. Just like Tommy Glenn Carmichael would look at the inside of the slots machines, you are attempting to make a mental map of the insides of the algorithm and its behavior. The type of lucrative payouts from the days of Tommy Glenn Carmichael are over. Cheating nowadays involves way more variance than the effectiveness that Carmichael enjoyed. It’s not as easy to make money consistently, but Tommy Glenn’s philosophy lives on: all systems are made to be broken eventually. You just need the time and the effort to succeed.